Commercial Spa Strategies continues to be at the forefront of the rapidly expanding spa industry. The expert consultancy company, based in York, boasts both operational and board level experience, with the specific aim of supporting the commercial success of new and existing spa businesses. By really leveraging the opportunity to improve occupancy, drive treatment room yield and optimise secondary spend, spas can ensure healthy contribution lines as well as delivering new experiences which enhance the overall experience. Company directors, recognised spa expert Liz Holmes and established Resort MD Nick Holmes, have a proven track record and multi award winning portfolio successes, across a number of high end resorts, spas, golf clubs and 5* properties. They have included: The £16m spa development at Ramside Hall, Gisborough Hall, Matfen Hall, Rockliffe Hall, Cameron House Hotel, the much loved Gleneagles Hotel, also Swinton Country Club & Spa, with The Falls Spa due to open at Lodore Falls Hotel during September 2018. 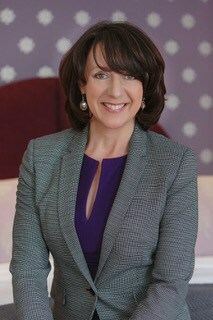 Liz comments on the progress of Ramside Hall & Spa near Durham: ‘The results after three years have been excellent, with annual room revenue increased by over £2m and spa revenue for this year, set to reach £4.6m potentially making it the most profitable spas in the north of England if not the UK’. The team behind Commercial Spa Strategies have adopted an approach which is both flexible and individual, in order to reflect the aims and ethos of each hotel-spa. Services include: feasibilities and business planning; new design briefing; membership and wellbeing programming; marketing and commercial review; on-line partners; recruitment and team development. The well-connected consultancy’s ethos is, to identify and work with the point of difference of each brand to ensure unique, memorable and above all, commercial experiences are created. Commercial Spa Strategies with their excellent hotel spa industry knowledge and credentials, offer an excellent investment. Their experience is second to none and as such, can offer specific services which include: hotel integration, fitness & membership, ‘perfect fit’ suppliers and spa retail, award submissions, the creation of cutting-edge spa treatment menus, pre-opening and strategic management, revenue strategies, driving hotel occupancy etc. In short, a service that provides conceptual ideas right through to operational procedures and systems, with everything in between!